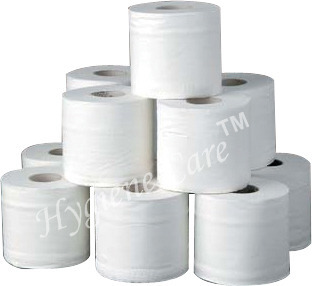 We are offering Toilet Tissue Roll. S.V. Hygiene Imports, was established in 2015 and is operating as a manufacturer, wholesaler, trader importer, buyer company and retailer of Hand Dryers, Shoe Shine Machine, Q Stands, Tissue Paper Dispenser, Aerosol Dispenser, Manual Soap Dispenser, Auto Soap Dispenser, Stainless Steel Soap Dispensers, Tissue Paper and Roll and Fragrance Refills. We have constructed a state-of-the-art infrastructure and it is equipped with latest machines. Our manufacturing unit is loaded with high-end machines for meeting the bulk orders efficiently. We procure our raw materials from reliable vendors of the industry and they are exceptional in quality. Our quality control unit is armed with high-grade machines for checking the condition of the manufactured products. We are known for meeting with the bulk orders comfortably owing to our major transportation network. Our professionals have earned us loads of profits and appreciation in the domain. They are adroit, provide customized solutions and are committed to our clients. Our clientele is reputed and based across the country. We are importing our product from Taiwan, Malaysia, UK.